CHAdeMO Association officialy announced its first European accredited certification organisation - Applus+ IDIADA, which has a testing facility in Barcelona, Spain. This means that fast charging developers and manufacturers can now call Applus+ IDIADA for certification instead of asking a Japanese unit. 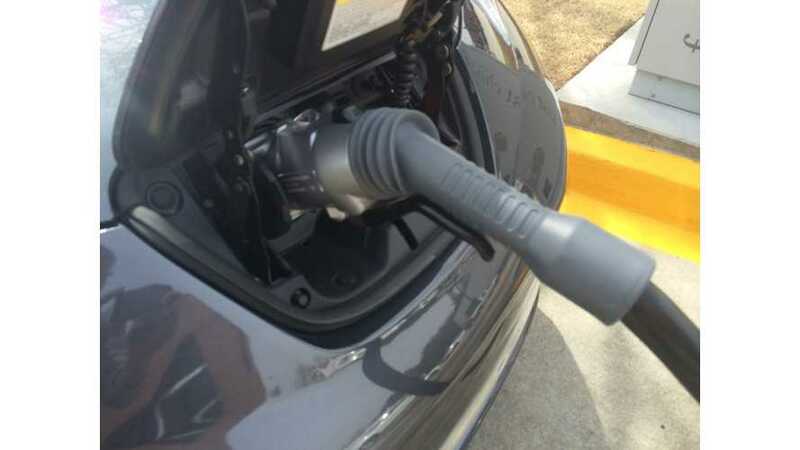 The possibility of third party certification is one of things that to date was lacking in the CHAdeMO protocol, but after opening the standard via IEC, everything is starting to change. "CHAdeMO charging protocol for DC fast chargers can now be certified by third party organisations. Applus+ IDIADA is the first certification body in Europe to be accredited by CHAdeMO Association for both 0.9 and 1.0 CHAdeMO processes. This is an important step in the Association’s history, as it demonstrates the maturity of its technology with established certification criteria that are conducted by third-party certification bodies as well as its readiness to accommodate a greater number of requests for charger certification in a speedy manner." CHAdeMO Association added that now there are over 3,600 CHAdeMO chargers, over 40 charger manufacturers and more than 136,000 EVs that can use them worldwide. Beside IDIADA, there are other organizations in Japan and Taiwan, which were registered. Who knows, maybe soon the U.S. will get its first accredited certification organization. "Feedbacks from these users, charger operators and manufacturers have been continuously incorporated in the quality and certification process of the CHAdeMO technology in the past five years. While CHAdeMO is proud of its impeccable record of reliability and safety of the CHAdeMO certified chargers, all the certification tests of CHAdeMO chargers were conducted by a small team of the Association based in Japan, which posed a constraint in its capacity. CHAdeMO Association has been working on establishing a more sustainable and expandable third-party certification process, and announced to its members last month that five organisations were registered as the official CHAdeMO certifying bodies: Applus+ IDIADA (Spain), Intertek (Japan), TERTEC (Taiwan), TUV Rheinland Japan (Japan), and UL Japan (Japan)." charger certifications, in preparation for the acceleration of EV uptake." Applus+ IDIADA on its side built an in-house EV charging simulator, which is an automatic evaluation system that strongly appealed to the Japanese. capable of hosting a connection test with a car inside the workshop." “the electric vehicle is a reality, and at IDIADA we have to be at the forefront of all EV technologies in order to fulfill our clients’ requirements."